If you’re looking for the best VR headset 2018, you’ve come to the right place. We keep tracking VR movement to help you decide which VR headset is perfect choice for you. The best VR Headset list, compiled by the experts. The VR is technology that has greatly improved our movie and gaming experience. It has integrated the real world with the gaming world into one Virtual Reality world. Gaming has been made much beautiful and fun, from using fingers and eyes to a total immersive in the VR world such that you don’t even realize where you are seated. Have you tried gaming or watching movies in any of the VR platforms? It is such an incredible experience that you cannot afford to miss out anymore. However, VR headsets are the backbone on of VR world, they track each movement of your head in a 3D. 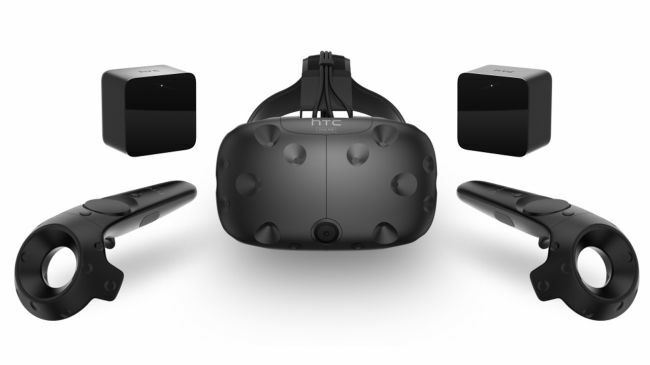 The VR headsets are divided into two categories; tethered and mobile. Tethered headsets which are the most common are connected to PC or Playstation using cables. The mobiles ones include a series of lenses that turns your smartphone into a VR device. Its advantage is that you don’t have to connect any cables to the headset since the processing is done on the smartphone. Conversely, they do not offer high-quality pictures as smartphones are not specifically designed for VR. To help you achieve the best in the VR world, we are going to cover the best VR headsets of 2018. Let us begin with the Sony PlayStation VR, it is a tethered headset that helps you step into the amazing virtual worlds. It is engineered to bring PS4 gaming experiences into the virtual world. Its design has been made more comfortable and light for you to feel as if it is not there. PlayStation VR uses OLED technology for its display. For a full functionality, the PlayStation VR needs additional investments apart from the PS4 and wireless joysticks. The investments comprise of a PlayStation move controller and a PlayStation camera. The camera is responsible for tracking your movements while the move controllers track the motion of your hands. The headsets go for a reasonable price of around 400 USD. By the look of the above accessories, you can tell that comfort and safety has been made a priority. The Vive is technically impressive, with the base station, it is able to track your movement within a 10-foot range. The Oculus operate by plugging it into the computer’s USB and DVI ports. Just like the other VR headsets, it tracks the head movements in order to provide 3-Dimension imagery. Its refresh rate is 90Hz, matching that one of the HTC vive. Apart from its refined and advanced design, the Oculus Rift movements and gestures feel so real and natural just like using your real hands. With the leap motion controllers, you are able to see your hands in the virtual world. That’s fantastic. The microfiber clothes help you clean the lenses to avoid that dirty and foggy view. The engagement with the wires has been greatly minimized using the Virtuix VR Boom. This is our first mobile headset to discuss. We are now saved from wires and cables, all we need is a capable and compatible Samsung Galaxy smartphone. The design of this headset is impressive, talk of its light weight and foam cushioning that offer extended sessions and well-designed strap holder that handles it securely on your face. The quality of the imagery you get will depend on the type of smartphone you use. To be precise, the Galaxy S7 and S7 Edge will deliver perfect results. Its price is pocket-friendly since it is below $100 without any of the smartphones. This headset includes a lot of fine features, like the pass-through connector that keeps your phone charged. 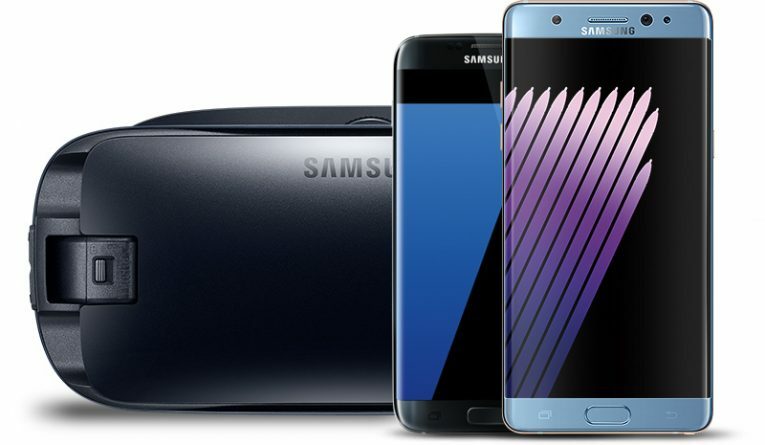 Most interesting, the two companies, Samsung and Oculus have collaborated and build the gear’s ecosystem software that features a handful of apps and games not forgetting the virtual theaters that give you the privilege of watching videos from streaming services like the Netflix. With this smartphone integrated feature, the Gear does not include many accessories like Samsung circle and Samsung gamepad. Samsung circles are cool earphones which are circular shaped and specifically designed for Gear VR. 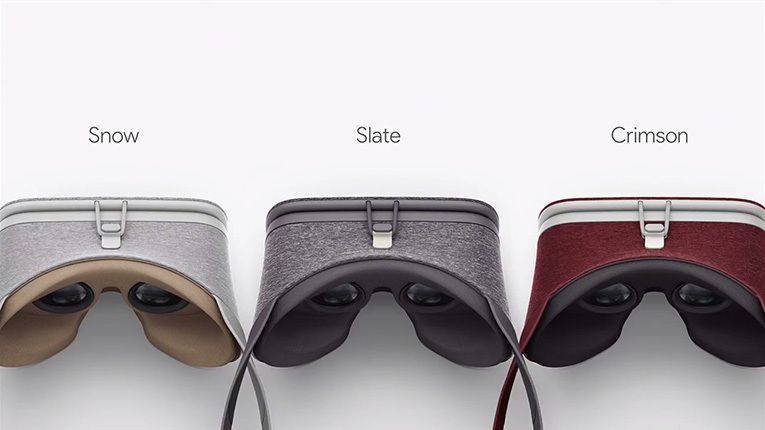 Google Daydream View also fall under the mobile headset produced by Google. Daydream View boast of being 30% lighter, compared to other mobile headsets. Its simple design is engineered to be light, soft and unique. The safety of the phone is assured by the clipping tool at the top of the headset. It comes with a smart beautiful natural and intuitive controller that helps you interact with the virtual world as if it is a real one. For you to begin, you just need to sandwich your phone in between the cover flip and headset, that’s all. As we expect compatible phones from Samsung, Sony, HTC and the rest, check out the List of Google Daydream-Ready Phones So Far. This headset is taking the mainstream of Mobile VR experiences. It is available for a retail price of only 79USD. Freefly’s VR is maybe the best in Budget Virtual Reality headsets. Design admittedly defers from high-end VR devices but faux leather makes it very comfortable to ware during extended sessions. The headset comes bundled with GLIDE Bluetooth controller which includes a mini-joystick with the control pads. The down side is if you are using iOS 9.2 or higher on your iPhone, the GLIDE won’t work as a controller. It is compatible with houndreds of Google Cardboard apps. The Freefly VR can handle almost any smartphone thanks to handy adjustable clamps. You can use any smartphone with a screen between 4.7in and 6.1in. 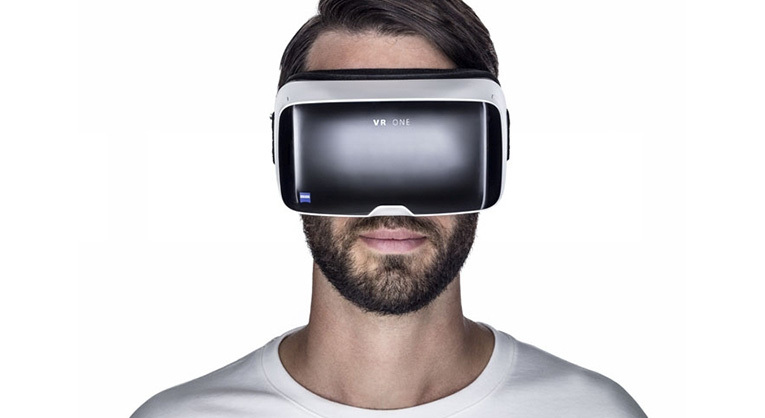 Zeiss VR One is another virtual reality headset powered by your smartphone, supporting both iPhone and Android devices between 4.7 and 5.2 inches. Most of mid-range headsets are equiped with controllers but Zeiss VR One don’t have any which is downside if you ask us. VR One will definietly work with all apps that are made for VR headsets. The biggest advantage of Zeiss VR One is Zeiss. Lens maker doing the optics makes VR One top in this category. Homido VR is French made VR headset we can put in same category as Zeiss VR although you will pay less for Homido. It comes with adjustable lenses with 100° field of view. Supports smartphones with screens ranging 4-6″. It is cheap, light weight and available worldwide. 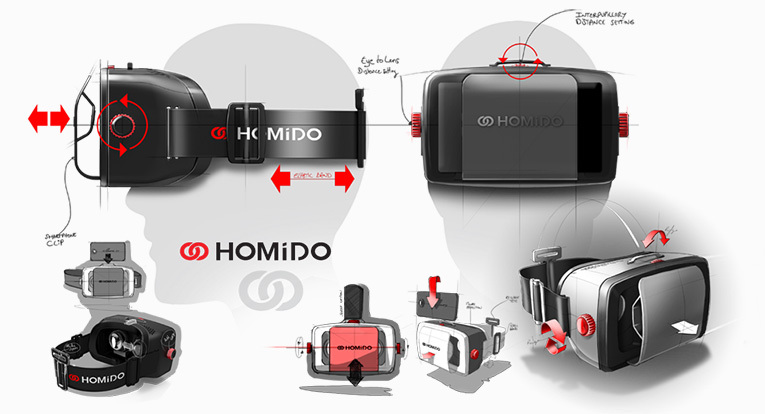 One of Homido VR main advantages is that the headset won’t allow light leak thanks to foam outline along the inside reef which makes it comfortable to use as well. Merge VR headset is exceptionally produced with impressive build quality making him stand out from the crowd. It is made of soft, lightweight foam which makes perfect fit for any face. Amazingly comfortable headset, affordable and simple to use. Other fact that positions Merge VR on top of the list is compatibility with both iOS and Android phones. The slot at the front can accommodate any phone ranging from 4″ to 7″. Well done! You won’t have to worry about the VR content for Merge VR headset. Visiting their website you will find many VR games, demos and experiences to immerse you into virtual reality. Wear some headphones with the Merge and you’ll feel truly immersed. We have discussed and realized the power of the VR headsets and for sure, these gadgets plays an important role in the virtual world into reality. On the other hand, we have seen that they cannot be used alone but in the company of one or two accessories. I wonder where this virtual world has been all that time. For deeper immersion in the VR experience, all you need is a better headset! The list will be constantly updated with best VR Headset.